For more information about RoHS Compliant Manufacturing click here to contact us. On January 27, 2003 the European Union passed the "Restriction on Use of Hazardous Substances in Electrical and Electronic Equipment" (RoHS) which became effective July 1, 2006. AMS Electronics recognizes that customers require early availability of RoHS compliant manufacturing of printed circuit board products and as such, had set an aggressive schedule for developing and delivering lead free manufacturing capabilities to provide products that meet the directive prior to the 2006 deadline. The European Union Directives 2002/95/EC places restrictions on the use of hazardous substances including lead, mercury, cadmium, hexavalent chromium, polybrominated biphenyls (PBB), and polybrominated diphenyl ethers (PBDE) in electronic equipment and printed circuit boards. AMS Electronics established a Steering Committee consisting of members from the necessary functional areas to begin the formal process of addressing a company-wide RoHS compliant manufacturing directive. Today, AMS Electronics is a RoHS compliant manufacturer for printed circuit boards and printed circuit board assembly. 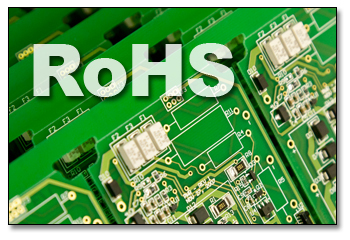 AMS Electronics offers RoHS compliant manufacturing as an option for those companies requiring RoHS compliance. AMSs’ customers can be assured that the removal of these hazardous substances from our manufacturing process will not reduce performance of their printed circuit board products. Our optional RoHS process has been engineered to meet IPC, UL and UE standards while maintaining the highest standards of quality and performance.